Tokyo is a huge sprawling city but it's served by one of the world's best public transport systems. Here, I'll give you all the details on getting around Tokyo easily. Subways and trains are the best way to get around Tokyo. 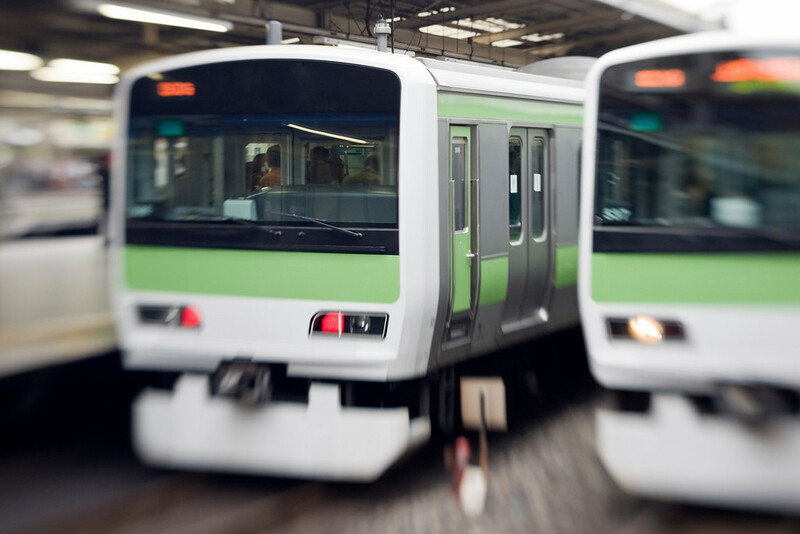 A prepaid Suica or Pasmo card is the BEST way to pay for transport. You can buy a Suica card online at GoVoyagin.com for pickup at the airport. Taxis are excellent but rather expensive. Buses aren't recommended for short-term visitors. The best way to understand Tokyo is to think of it as several cities connected by a great public transport system. Each urban node like Shinjuku, Shibuya or Roppongi is like its own city. And if you jump on the subway or train, you can be in a completely different "city" in a few minutes. 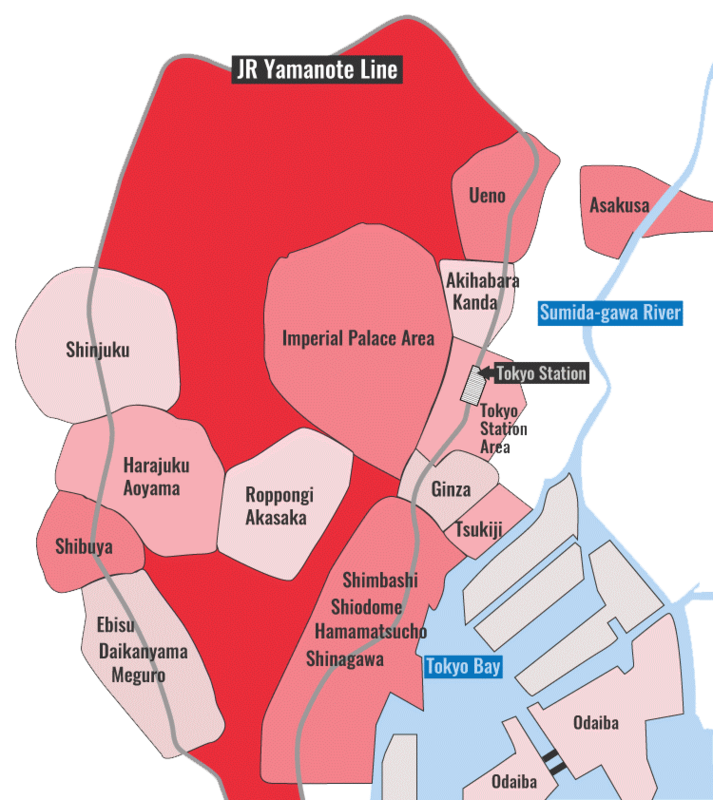 Most of Tokyo's major urban hubs are located on the JR Yamanote Line, which is sometimes called simply the "Loop Line." The only major exceptions to this are Roppongi and Asakusa. However, these two are just a few subway stops from the Yamamote Line stops of Ebisu and Ueno, respectively. You can ride the JR Yamanote Line with a Japan Rail Pass, but if you just want to explore Tokyo for the first few days after arriving in Japan, it's best to activate your pass on the morning you leave Tokyo and use it for your long-distance train travel (ie, use the pass to pay for expensive intercity travel, not for cheap local travel). A prepaid card like Suica or Pasmo is easily the best way to pay for train and subway travel in Tokyo. See below for full details. As mentioned above, trains and subways are the best way to get around Tokyo. For full details, see my Tokyo Trains and Subways page. Tokyo's buses are extensive and efficient, but they're not ideal for tourists. Still, if you do want to give them a try, you'll find all the details on my Tokyo Buses page. Tokyo's taxis are an excellent way to get around the city, especially outside of rush hour or if you have to go to a place not close to a train or subway station. However, they're not cheap. For full details, see my Tokyo Taxis page. A prepaid stored value card like Suica or Pasmo is really the best way to pay for trains and subways in Tokyo. You can also use them for purchases at convenience stores and many other places. For full details, see my Prepaid Cards – Pasmo and Suica page. You can buy a Suica card online at GoVoyagin.com for pickup at the airport. For information on travel between Haneda and Narita airports and Tokyo, see my Tokyo Airport Transport page.